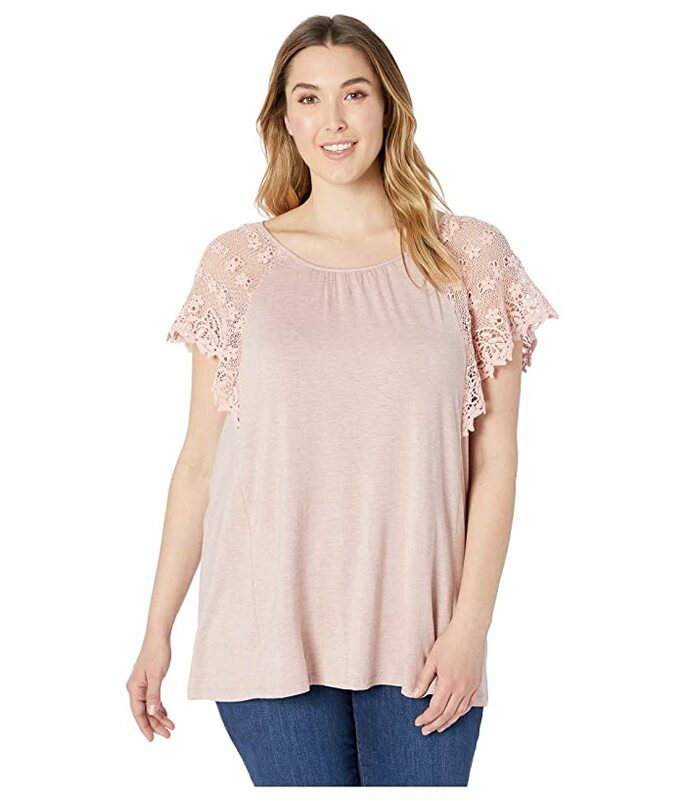 This B Collection by Bobeau™ Plus Size Marina Lace Sleeve Top brings the perfect feminine upgrade to your wardrobe. 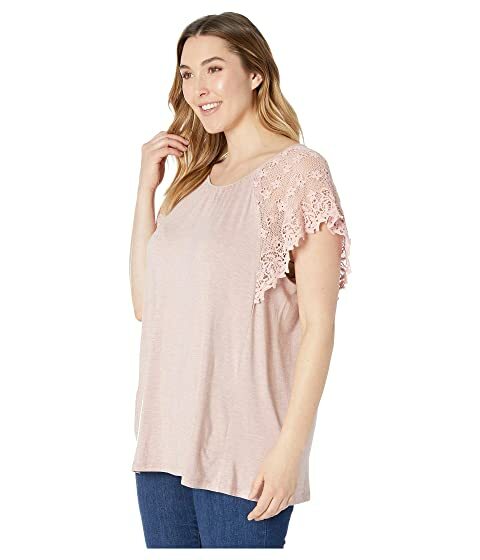 Crafted from an exceptionally soft rayon blend. 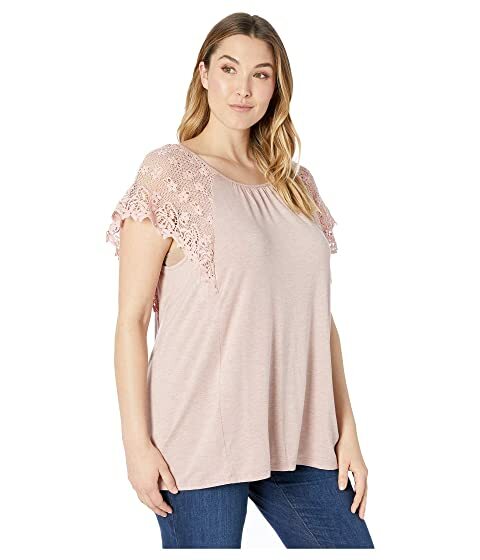 Crew neckline with shirred details. 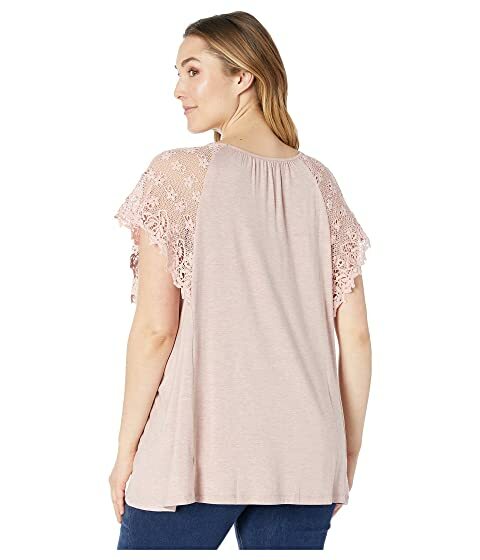 Beautiful lace adorns the short raglan sleeves.